Erico SK 1-1/4-Inch Wide single-piece strut clamp features steel construction and electrogalvanized finish for longer endurance. 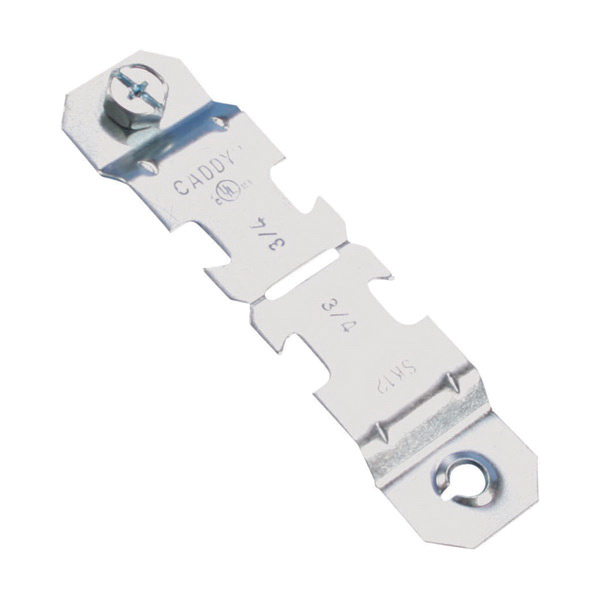 It has trade size of 1-1/2-inches for EMT or rigid. It has working load limit of 200 lb for static. It is perfect for use with EMT and rigid conduit. It has clamping capacity of 1.74 - 1.9-Inch. Clamp is cULus listed.